Healing comes in many ways, a kind word, a big hug which can give so very much, or even a paracetamol tablet. Often just listening to a loved one or friend can help heal the pain within; time being the greatest healer for bereavement and loss. Life can take many things, but not your dear memories. I have provided Spiritual Healing since 1975 and offer private appointments in London and Surrey. Please contact me if you would like to book an appointment. I think, and this is my belief, we can all heal in one way or another. Look at the mother who rubs away a tummy ache on her child, even rubbing a person’s back, leg or shoulder can ease pain. Prayer is such a powerful force; pray to your God whoever your God is, miracles happen. Talk to him as a dear friend, you needn’t get on a bended knee, just talk and speak and he will listen. Always remember to say thank you. We find ourselves always asking but never saying a thank you back, like you would to a friend; always try and light a candle and say thank you to your master, gently speaking and acknowledging your link with this glorious divine light of love and God. Through an emotional loss, through divorce, loss of a partnership or lover, the pain is so emotionally felt and it’s here where we carry so much hurt, in our heart chakra. We all live so much in the past, fearing rejection, fearing being hurt, that we lose ourselves. It’s now we need to start to take stock of our lives and realise how unhappy we were. Perhaps we were controlled or had an abusive relationship and felt so unhappy, or just thoroughly bored. All these feelings, all these emotions, all this plays mayhem with our Chakras and mind, we must let the past go and go now! Once your confidence and self-worth are back on track, then and only then, you should pursue another relationship, time is the essence, the healer. With people who are very ill Reiki, or hands on healing, acupuncture, reflexology, can work so well relaxing the body and mind. But pick your therapist well, go by recommendation. As you know, we have good and bad policemen and good and bad hairdressers, please choose wisely. Please be aware always to ask your Doctor first. I know there are some wonderful healers out there who work in a beautiful divine light and are so gifted. “I work with a divine master one I feel and know to be very powerful and works with me in a divine way, working with shamanic healing and Chakra cleansing I believe has helped my clients in so many ways I’m like a vessel, what is given is not from me but a divine source and I feel truly blessed in receiving this love and healing rays of wonderful light and love”. Shamanic healing is very different from what we understand as “healing” in western medicine. I believe I work with the spirit and soul and seek to heal illnesses at soul level with Chakra cleansing. There are seven main energy centres in the body known as chakras. 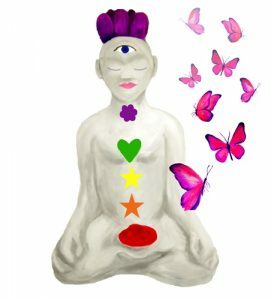 I work on each chakra located throughout the body so that it re-balances your specific body ailments and/or your emotions. Each energy supports our “mental and emotional strengths”. The clearing of the energy can also balance our emotional state of mind. I am not a miracle worker, but I believe I will help you help yourself and re-balance your life in some way. Remember thought follows feelings, follows emotions. I offer Shamanic spiritual healing in Highgate, London & Farnham, Surrey and I’m also available for events across the UK. Please contact me. SEO by Radikls. All rights reserved.